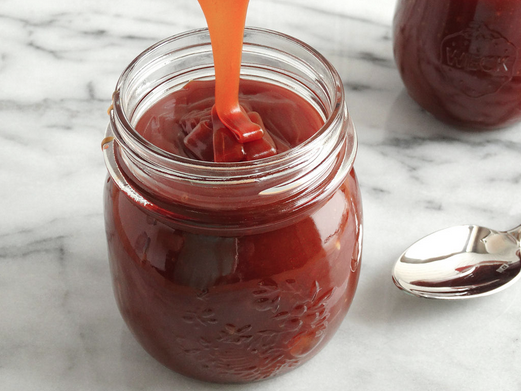 Wouldn't you love to always have the perfect caramel sauce on hand at home? Many people avoid making their own, because they're intimidated. At Ontario Bakery, we know our sweets and this is one we really enjoy and believe you should too! The truth is, it's really not that hard. Not having the sugar become a grainy mess is your second biggest-challenge when making caramel. The first is getting it to just the right color; no more, no less. Perfect caramel should be cooked until it’s dark, reddish-brown. Thankfully, the Brown Eyed Baker had a great recipe to pass on to you and we've got it right here! Stir the sugar initially to help it to melt evenly, but stop once it has completely melted to keep it from seizing. If you’re new to caramel-making, you may find a thermometer will help to guide you. The caramel should reach 350 degrees F on an instant-read or candy thermometer. If you aren’t able to obtain a thermometer, you can use visual cues for doneness. The caramel should be a deep amber color and should have just started to smoke. The line is very fine here. If you don’t cook it long enough it will be too sweet with little depth of flavor, but cook it too long and it will be burnt and unusable. Once you’ve done it a few times and see the color and can experience the smell when the thermometer hits 350 degrees, you will have a better idea of how to eyeball it when you don’t have a thermometer. Be sure to use a saucepan that is larger than you think you might need. When you add the butter and the cream, the caramel will bubble up violently. It's that simple! Once your caramel has reached it's peak flavor and consistency, generously pour into a mason jar or similar container. Now, you have a fantastic homemade caramel sauce that you can dip apples into, drizzle over brownies or even flavor your coffee with! At Ontario Bakery, we love caramel and get excited over the opportunities to use it. But we get excited about everything we make! Our cake and buttercream recipes are the original scratch recipes since the beginning. A cake from Ontario Bakery says it all to the customer: quality, uniqueness, and a true desire for a good tasting cake to serve your guests. Our creative staff can bake the perfect Cake for your Birthday, anniversary, bachelor/bachelorette party, corporate event, etc. No celebration is complete without a delicious cake from Ontario Bakery! Our goal is to provide the highest quality cakes and baked goods with personalized service to every customer on every visit. Our moist cake with filling of your choice has created delicious memories for generations. Don't take our word for it. 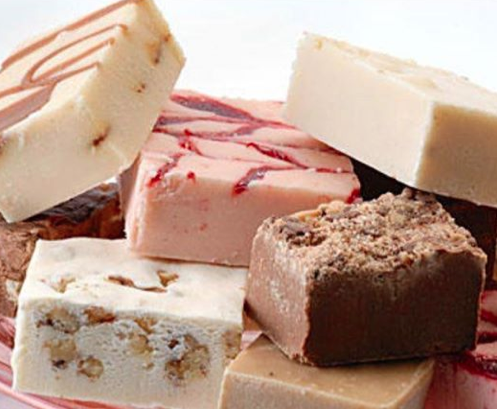 We offer our customers a free sample from our large selection of cakes and fillings. Just give us a call and set up an appointment with one of our cake consultants, no obligations. I love brownies. The way they melt in your mouth and spread pure joy throughout your body is incredible. Chocolate has been long since loved and adored and for good reason too! It's symbolic for love, celebration and has even been known for health benefits when eaten in more pure form. Of course, at Ontario Bakery, we are 100% behind the goodness of chocolate and love to share it whenever we can; whether that be wedding cakes, pies, cake pops or cookies. We LOVE chocolate. 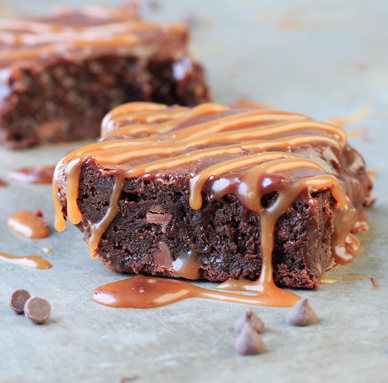 We believe you deserve to have chocolate whenever you want; especially brownies. 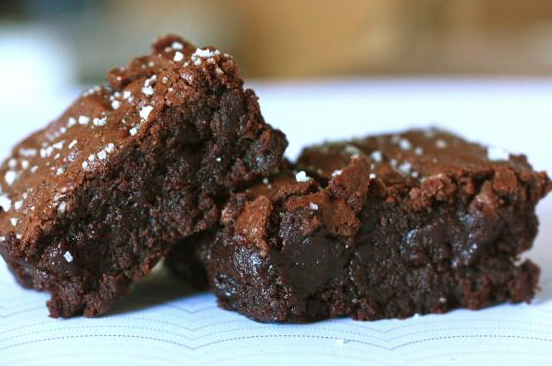 For those craving days, here are some quick tips for better brownies, from Michelle Bobora at sheknows.com. Brownie making is certainly not rocket science, but knowing the pastry chef's secrets for extraordinary chocolate-dense bars will ensure your brownie eating experience is well beyond bliss. Here are Goldman's baking tips for the best brownies. Goldman suggests high-quality semisweet or bittersweet chocolate and cocoa. Her favorites are Scharrfen Berger chocolate and cocoa as well as Saco Chunks and Saco Premium. "I also have tested and like Ghirardelli, Droste, and Callebut chocolates," she adds. To avoid lumps of cocoa powder in the midst of a finished brownie, scoop cocoa with a metal measuring spoon or cup, then sift or whisk gently with the flour. Pan size and shape are important in any recipe, says Goldman, but especially with brownies because the depth of the batter affects taste and texture. Shallow pans make chewy brownies while deeper pans make denser, cake-like bars. She recommends a 7x11-inch brownie pan made of aluminum, nonstick aluminum, or tin pans. Small metal spatulas are an essential utensil for spreading brownie batter and icing. Goldman suggests dipping spatulas in hot water before using to keep brownie batter from sticking. Though you may enjoy the crusty corners or edges of just overdone brownies, having a pan full of hardened, dry bars is the ruin of an afternoon set aside for baking. Place brownie pans on baking sheets lined with parchment paper; this will keep the bottoms of the brownies from scorching before the tops are set. Part of the beauty of chocolate gratification is how fast the craving can be satisfied. 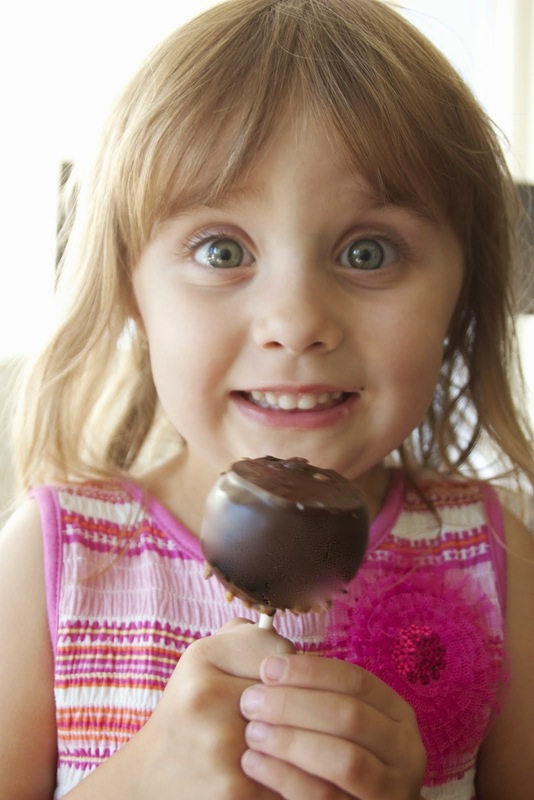 What if you could order the most amazing chocolate treats to find your mouth? What if you could customize that order to your visual and sensorial needs! Well, you can, with Ontario Bakery. We know that while baking is fun - it's often best to leave it to the experts. We ARE those experts. Foresee that craving, the need for a celebration piece, or simply for the fun of it all and call us today to place your own, customized delicious order. Cinnamon is a highly delicious spice. It has been prized for its medicinal properties for thousands of years. Modern science has now confirmed what people have instinctively known for ages. Cinnamon is quite the medicinal gift. It has been used as an ingredient throughout history, dating back as far as Ancient Egypt. It used to be rare and valuable, and was regarded as a gift fit for kings. 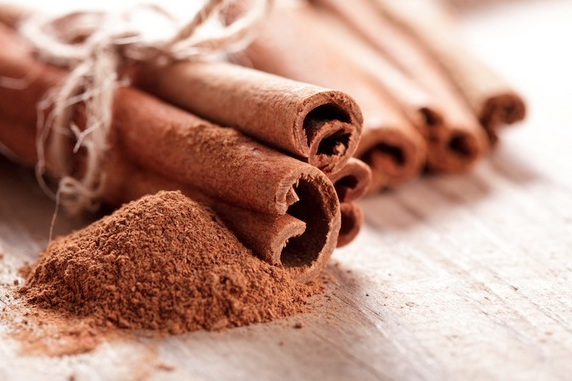 Cinnamon is loaded with anti-oxidants! Antioxidants protect the body from oxidative damage caused by free radicals. In a study that compared the antioxidant activity of 26 spices, cinnamon wound up as the clear winner, even outranking “superfoods” like garlic and oregano. Cinnamon also helps regulate insulin levels! That's great news for people with diabetic struggles! Cinnamon can also dramatically reduce insulin resistance, helping this incredibly important hormone to do its job. Ready to sink your teeth into some delicious cinnamon treats? ... We thought you would be. Sprinkle cinnamon into your coffee, or add it to your coffee grounds before brewing. Add a dash or two of cinnamon to hot oatmeal, overnight oats, or cold whole grain cereal. Fold cinnamon into yogurt, along with cooked, chilled quinoa, fresh cut fruit, and nuts or seeds. Freeze cinnamon in ice cubes to add zest and aroma to water or cocktails. Season roasted or grilled fruit with a sprinkle of cinnamon. Stir cinnamon into almond butter, or any nut or seed butter, and use as a dip for fresh apple or pear wedges or a filling for celery. Add a pinch of cinnamon to lentil or black bean soup, or vegetarian chili. Season roasted cauliflower, sweet potatoes, spaghetti, and butternut squash with a pinch of cinnamon. Sprinkle a little cinnamon onto popped popcorn. Stir a little cinnamon into melted dark chocolate and drizzle over whole nuts to make spicy ‘bark’ or use as a dip or coating for fresh fruit. Really, your options are endless. Cinnamon has been used for thousands of years to heal the body and enhance tastes. At Ontario Bakery, we love being apart of lasting memories in your families and would love to be a part of more. Please let us know what we can do to make the last of your 2014 have a sweet end! Call us today for your custom baked cakes and more! Strawberries are coming soon, but do you know what to do with them? Sure, they're delicious the way they are, but how would you like to have a few more creative ways to enjoy them? 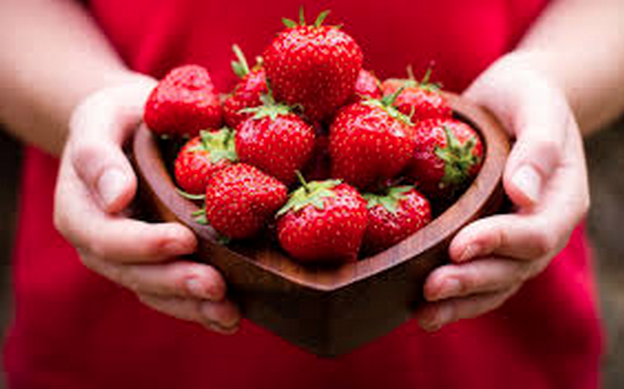 At Ontario Bakery, we love to use strawberries in our icings, cakes and pies, custom made just for you! But we know you love those last minute indulgences and these ideas will leave you wanting more! As strawberries begin to make their way into the year, get creative and enjoy them with these delicious creative ideas! Get out those delicious berries and dip them in some slightly softened chocolate ice cream! If you'd like to avoid the mess, just scoop some into a bowl, add the strawberries and some chopped nuts to the mix. That's an easy pleaser! Slice those red beauties along with thin slices of cucumbers, drizzled with honey and garnished with chopped mint. Place in the freezer for a gentle freeze and take out after about 30 min. You'll have a wonderfully refreshing desert that's healthy too! Keep it simple. Spread nutella on the strawberries and pop them into your mouth. Or, go a little further and place both the berries and nutella on a slice of toast! Great mid-day pick me up! This is one of my favorites and a spin off of strawberry shortcake. Place some bananas in the freezer for about 20 minutes; just enough to chill them. Chop some strawberry chunks and add to the bananas- wither whole or sliced. Last, add whipped cream and indulge!! SO delicious! Why not start your day with strawberries too? Just make some quick oats, rice farina or whatever grain based porridge you prefer. Chop cashews, hazelnuts and strawberries, drizzle some maple syrup and stir. Enjoy a tasty start to your day! Smoothies are all the rage these days and for good reasons! Grab some frozen bananas and throw in those delicious strawberries for a simple smoothie. For more health benefits, add kale, spinach, and even raw honey for sweetening! Ontario Bakery is the place to find exciting treats and delicious cakes for all occasions. We love to celebrate with you and look forward to making your special day even sweeter. 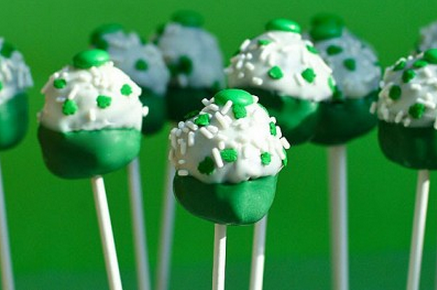 Impress Your Friends this Weekend with These Fun Facts About St. Patrick's Day! the fun and unusual facts! You'll wow them with your spontaneous intelligence and bring more fun to an already exciting holiday! Whether you celebrate because you're Irish, Catholic, love green or just love a reason to have fun, make it all that it can be! Play games and treat yourself to delicious green and holiday friendly deserts! At Ontario Bakery, we love any reason to celebrate because that's what we do best! *Ready? Impress Your Friends this Weekend with These Fun Facts About St. Patrick's Day! The actual color of St. Patrick is blue. Green became associated with St. Patrick's Day during the 19th century. Green, in Irish legends, was worn by fairies and immortals, and also by people to encourage their crops to grow. The very first St. Patrick's Day parade was not in Ireland. It was in Boston in 1737. In Chicago, on St. Patrick's Day, the rivers are dyed green. Mayor Daley is also of Irish descent. In Seattle, there is a ceremony where a green stripe is painted down the roads. Most Catholics attend mass in the morning and then attend the St. Patrick's Day parade. Shamrocks are worn on the lapel on this day. Many young people dye their hair green for the special day. 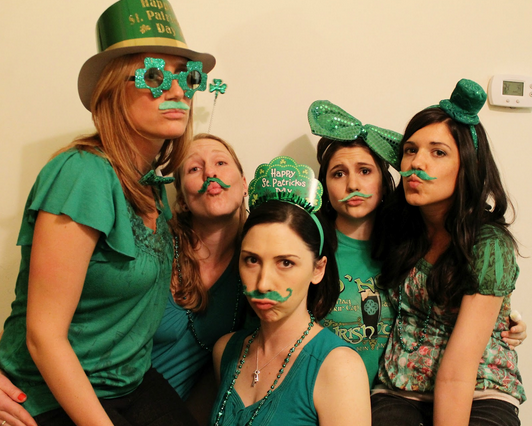 Many people wear green on this holiday to avoid being pinched. The phrase, "Drowning The Shamrock" is from the custom of floating the shamrock on the top of whiskey before drinking it. The Irish believe that if you keep the custom, then you will have a prosperous year. Many bars in the United States, and abroad, serve green beer to celebrate St. Patty's Day. That’s the luck of me lucky charms! There you have it! No matter your reason for celebrating, St. Patrick's Day is one to enjoy and experience. 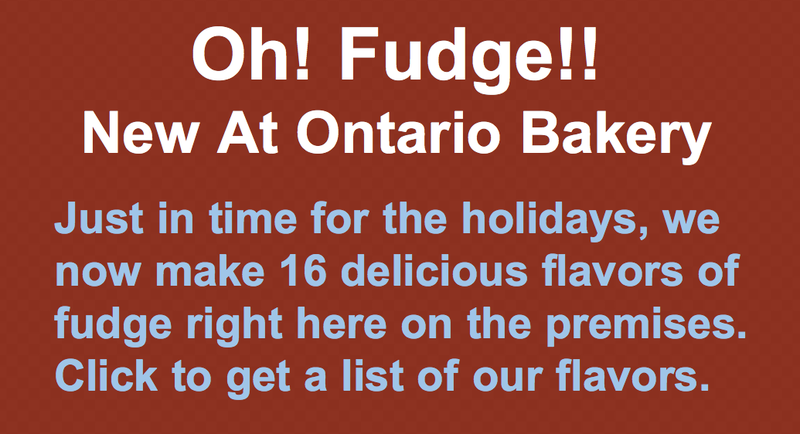 Let Ontario Bakery be part of your fun with custom made cookies, cupcakes, cakepops and more! 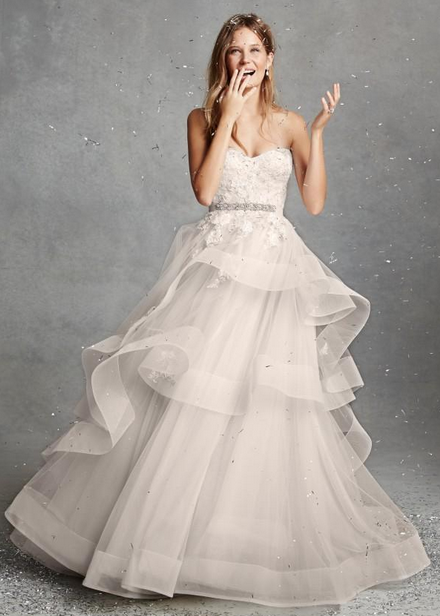 Need Wedding Dress Inspiration! Here Are 5 of Our Favorite Spring Looks! 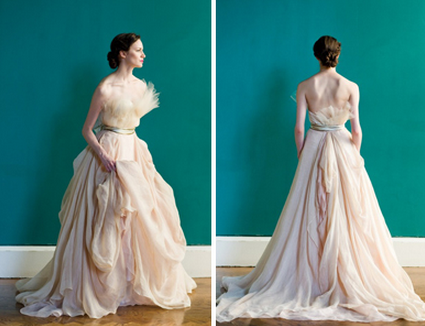 Searching for a good wedding dress that fits your individuality and elegance, is not always easy. We at Ontario Bakery hear the frustrations of brides all the time in this situation. But then they come back to us quickly once they've found 'the one', knowing we'll make a cake custom to compliment their treasured find! At Ontario Bakery, we know the wedding is more than just the dress, but the dress, is of course, one of the main attractions! We are honored to be a part of the planning and celebration of your wedding and would love to talk with you today about all the delicious options we have in store! Give us a call! We're ready to celebrate with you! Planning a wedding for the Spring is a fabulous and colorful option, but can be met with some surprises you want to be prepared for! We want to make sure your day is at it's best and that means being prepared ahead of time to avoid common spring wedding planning chaos. Ready for the blissful tips? While pastels are almost always the first colors on our minds this time of year, spring weddings are great for punchier palettes, too. Bold, bright fuchsia is a particularly lovely way to set the tone, and the perfect complement to all of that fresh green grass — as are yellow, coral, and blue. No matter where you live, even in Southern California, the odds are that you are more than familiar with spring’s unpredictable weather changes. 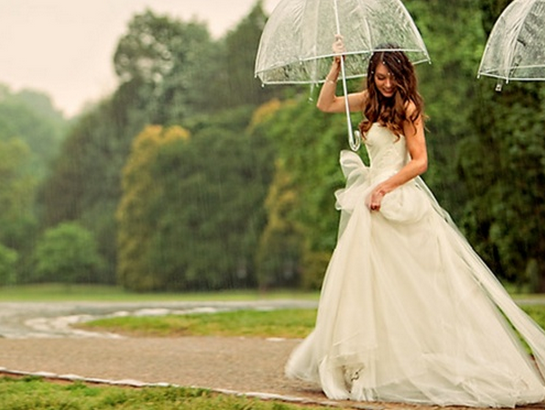 Plan ahead and play it safe by choosing a venue with indoor and outdoor options. It's spring, and as mentioned above, rain can happen. Why not stock the wedding party up with transparent umbrellas? If it rains, you'll be covered. If not, use them in the photos to remember your beautiful day! Still along with the weather, we need to remember that Spring, with its traditionally warm, sunny days and cooler nights, is the best time of year to plan to include a warmer accessory or two in your bridal getup. 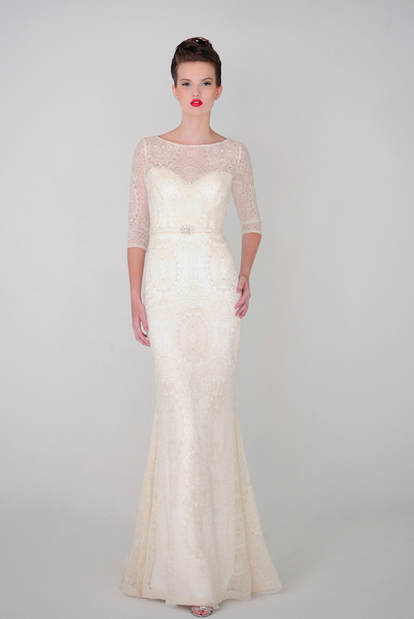 Better yet, try on one of this year’s prettiest fashion trends: wedding gowns with sleeves. Keep the same ideas in mind when you’re picking out bridesmaid dresses and consider skipping the lightweight chiffon gowns in favor of fabric with a little more weight and warmth. Spring may be before the real wedding rush begins, but it’s still a popular time of year to tie the knot. Make sure you book early, especially if you live in a place where hot summers push the wedding season forward. Don’t forget to take advantage of the season’s several holidays and look into booking a Sunday evening celebration to spread out the fun and potentially cut costs. Remember, even we at Ontario Bakery get booked for custom wedding cakes early, so call ahead and double check dates and orders so there's no confusion or details lost in the shuffle. Seasonal food, seasonal flowers, even seasonal favors — this is the best time of year to do it all. Everything is fresh and lovely, and it will certainly be a better fit for your budget than ordering summer blooms or fall vegetables. Plus, personalized packets of flower seeds make for a unique gift your guests can enjoy long after the last slice of cake is gone. This wedding is going to be so beautiful! Sit back and be excited that it's coming so soon. Keep a checklist and check it twice. Then, smile, knowing you're prepared! Ontario Bakery is happy to meet your wedding day needs; contact us today!